In medieval times Lund was the seat of an archbishopric that held sway over all of the Nordic countries. 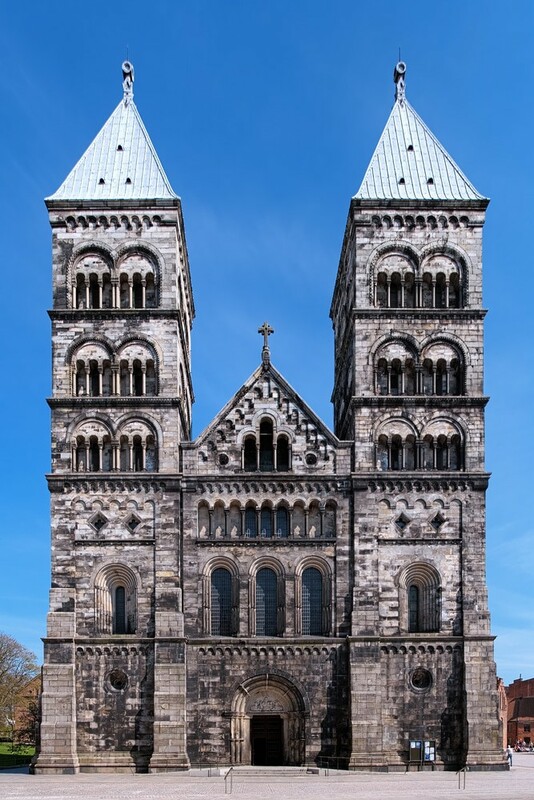 And speaking to that religious power is the amazing cathedral, the greatest Romanesque edifice in Scandinavia. That has to be the first thing you do in Lund, a green city famed for its reputable university and where the last scenes of Ingmar Bergman’s classic Wild Strawberries were shot. 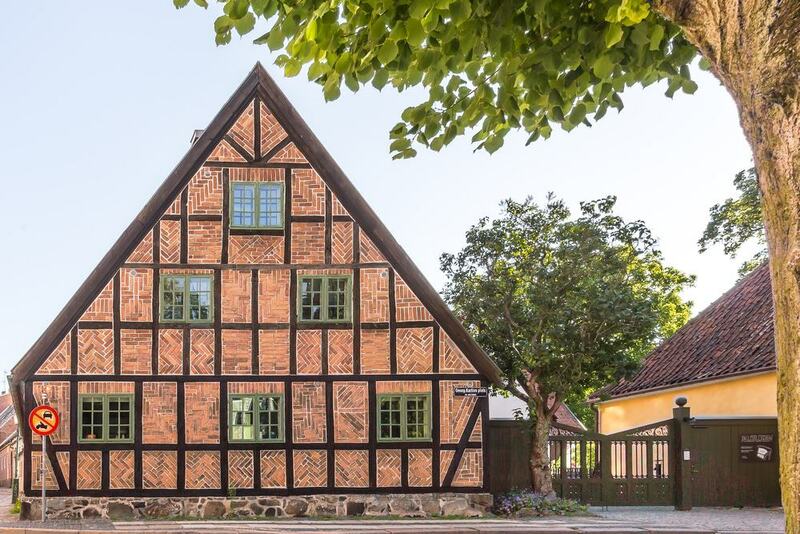 Sweden’s second oldest outdoor museum is right in the city centre, a little district of historic buildings where old trades and daily life continue as they did before industry arrived. And being a centre of higher learning, Lund is replete with educational attractions tied to the uni, like the botanical garden and a first-rate museum of famous artists’ preliminary sketches. Held as Sweden’s greatest piece of Romanesque architecture, Lund Cathedral has elements that have not been altered in 900 years. These oldest parts combine the Rhenish and Lombard styles and are mostly visible in the apse and crypt. Go below to check out the sculpted pillars and the altar dating to 1123. Upstairs there’s a fabulous astronomical clock from 1380. Two automaton knights mark the hours and the astronomical dial marks out the direction of the sunset and the phases of the moon. Finally in the choir, dimly-lit because of the narrow Romanesque windows, see the 14th-century stalls and continue up to the altar where the magnificent gilded Gothic altarpiece dates to 1382. Lund’s open-air museum is the second oldest in Sweden after Stockholm’s. It opened in 1892 and is a whole historic quarter between the Cathedral and the Botanical Garden. Some of the museum’s buildings have always stood at this spot, while others have been moved to the museum in pieces to ensure their preservation. There are around 30 exhibition rooms in this wonderful space, allowing you to immerse yourself in daily and working life on the Lund Peninsula in bygone times. The larger buildings are galleries for the museum’s collection of more than two million artefacts, counting silverware, porcelain and jewellery from the Scania province. There are also architectural fragments in the gardens from demolished medieval churches, and runestones in the lapidarium. The University of Lund has managed a botanical garden of some description since 1690. This moved location a couple of times before ending up at its current eight-hectare patch in 1868. Even back then the garden boasted more than 6,000 species, and today it has 1,000 more. Some 200 of these are kept in the greenhouse, which is divided into nine different climate zones. For inquisitive minds the flower beds and greenhouse displays are labelled to tell you what you’re looking at. The best time to be here is from May to July, when the gardens are most florid and you can pause at the cafe by the pond for coffee and a chat. 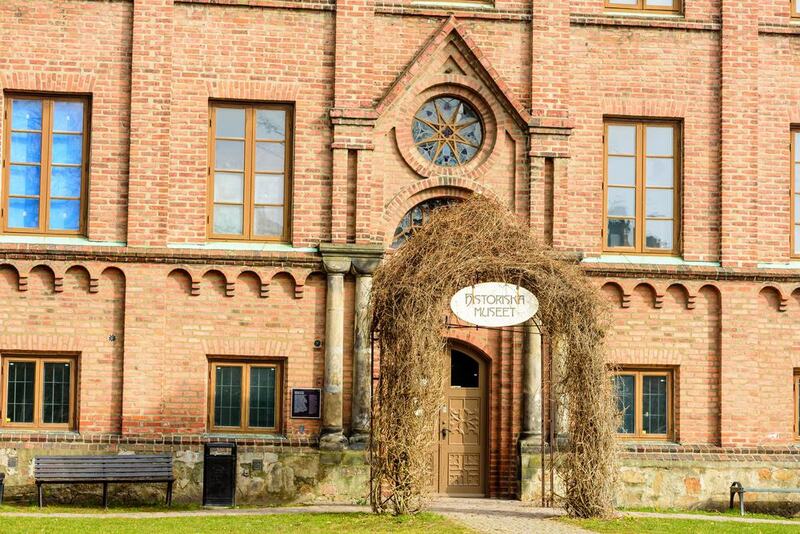 At this one-of-a-kind museum you have a rare glimpse of the creative process of some of the most famous Swedish and international artists. The exhibition has preliminary sketches and models by more than 1,000 artists from 30 different countries. In the international sculpture room for instance you can see Henry Moore’s various models for his work, Hill Arches. And there are preparatory works by other illustrious 20th-century artists like Henri Matisse, Fernand Léger, Robert and Sonia Delaunay, Diego Rivera, Siri Derkert and Elli Hemberg. Outside you can browse the sculpture park with 20 works by Swedish artists like Elli Hemberg and Arne Jones. Southwest of the centre is the city park, which was first laid out in 1911. 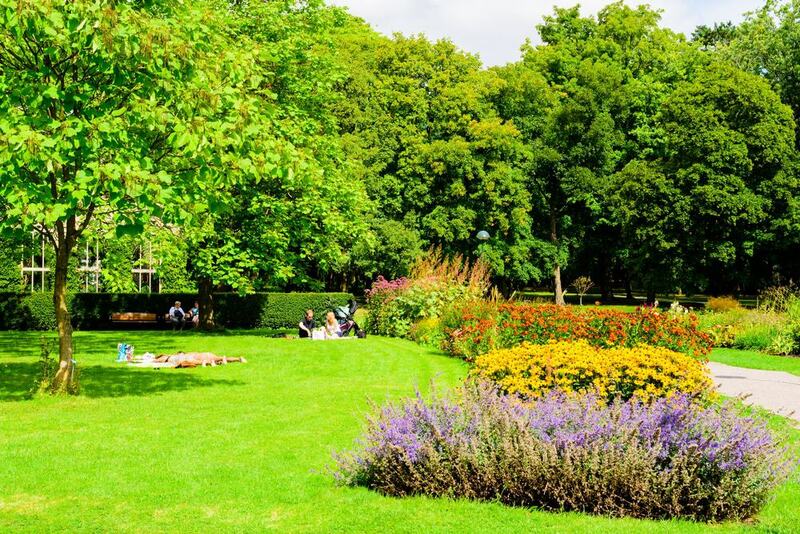 While the botanical garden is about informative walks, Stadsparken is more for relaxation, exercise and having fun. There’s a skate park, superb children’s playground with a climbing rock, central Lund’s only indoor swimming pool, an outdoor gym, a 10-kilometre hiking trail and even a parkour course. And for people who want to take it easy there are generous lawns, paths flanked by old hardwood trees and a formal garden planted with some 7,000 perennials. These formal paths and gardens are set where Lund’s medieval city hall, Högevall used to stand. On Krafts Torg, the university’s historical museum is more than 200 years old and is the second largest museum of its kind in Sweden. Its current building dates to the 1840s and the museum moved here in 1918. The reserve is vast, comprising more than ten million pieces, as this institution is tasked with documenting finds made across Skåne County. There are Stone Age tools and weapons, finds from the Iron Age settlement at Uppåkra, thousands of coins and numerous examples of medieval liturgical art. The museum also has a gallery of classical artefacts brought here after excavations conducted by the university abroad. This 51-metre, 11th-century church in the centre of Lund was the seat of the archbishopric, but was torn down during the Reformation in the 15th century. 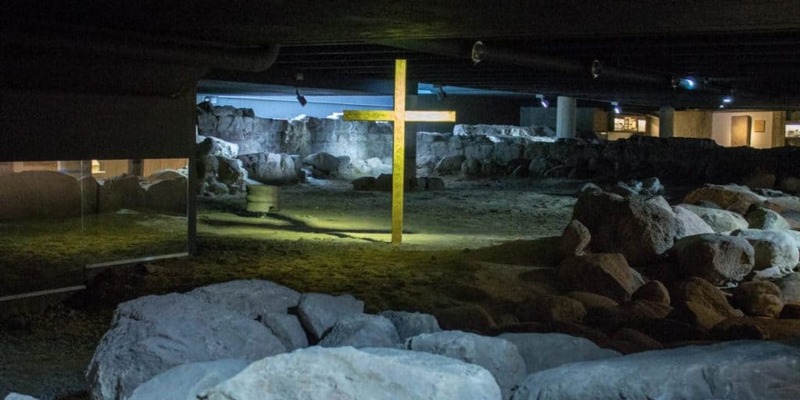 The site was rediscovered in good condition during excavations in the 70s and 80s and the churchyard and the remnants of the Lord’s Church were put on show in an underground museum. During the dig an even older church from the 900s was found on the north wall of the Lord’s Church and this has been mooted as Skåne ‘s first ever stone church. Entrance is free, and there are information boards explaining the significance of the ruins and some of the artefacts found in the dig. You only have to travel ten minutes to the southeast of Lund to reach the Nordic region’s oldest stone church still standing. It was founded in 1060, and was very briefly the seat of the bishop, until this moved a little way up the road to Lund. The most absorbing piece inside this atmospheric Romanesque edifice is the baptismal font, dating to the 11th century and carved from sandstone quarried in Höör. This is the oldest font still in use in Scandinavia and has carvings of human heads and beasts on its base and reliefs of Christ’s baptism on the sides. 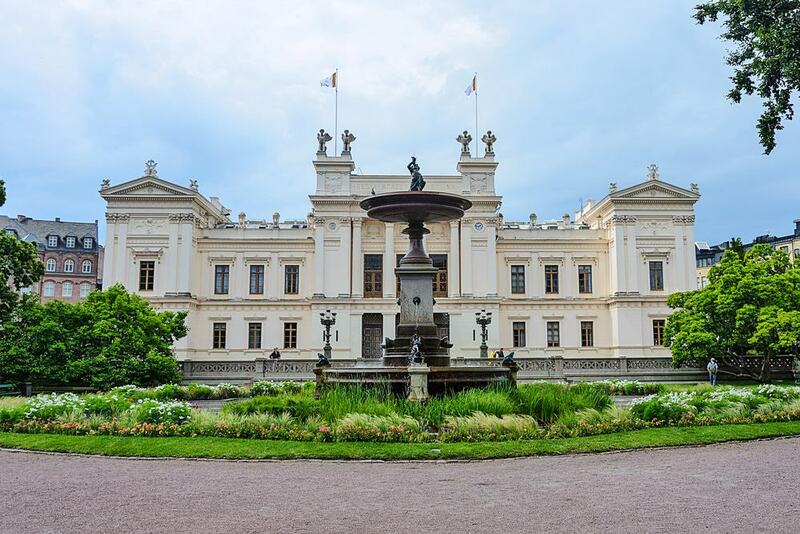 The origins of Lund University begin in the 15th century, but it was officially founded in 1666 close to the cathedral. It now ranks as one of Europe’s most prestigious universities, garnering a strong reputation for medical research. The institution runs several of Lund’s museums but if there’s one sight to see, it’s the main building on the other side of Lundagård park from the cathedral. This proud whitewashed monument is from 1882 and has a Neoclassical design conceived by Helgo Zetttervall. Admire the pilasters, Corinthian columns and pediments on the facade, and keep an eye out for the four stone sphinxes on the roof. That green buffer between the cathedral and the University Main Building also has an interesting tale to tell. From the cathedral’s completion in the 12th century it was walled off, and served as a city quarter containing the university and religious institutions. There were also financial buildings, as well as the royal mint and Krafts Torg, which was Lund’s main centre of trade and later became a cemetery. The wall was eventually pulled down in 1840 to the dismay of the university’s students, and the last of three gates to survive is the entrance to Kulturen. Another of Helgo Zettervall’s additions to the Lund cityscape came at the turn of the 1890s when he designed this monumental Neo-Gothic church. The building came about after Lund Cathedral was deemed too small to house the city’s worshippers, and the bishop Johan Henrik Thomander began the search for a replacement earlier in the century. The church’s dimensions are still spectacular today, with a 72-metre tower and room inside for 2,000 people. There’s a lot of ornamentation to pore over inside, but the highlight are the stained glass windows in the choir, crafted in Innsbruck and portraying Christ’s Ascension. 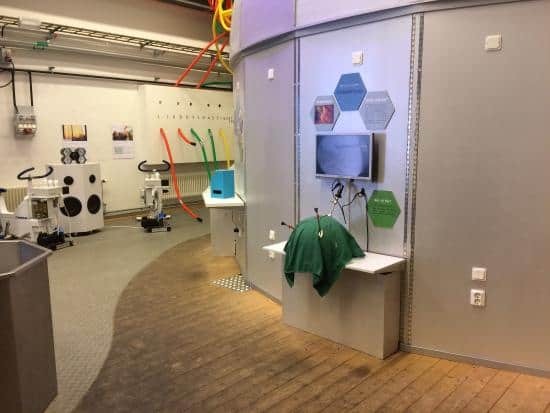 This hands-on science museum is run in partnership with the University of Lund and aimed primarily at kids. On weekends and school holidays there are two astronomy shows a day at the planetarium, led by the university’s astronomy post-grads and lecturers. The array of activities available changes frequently, but everything here requires interaction, whether kids are scaling a “digiwall”, holding their nerve on a tremble test, shooting protons, building a torch or taking part in all sorts of chemistry experiments. For a shot of local culture the city’s art gallery is a venue to ponder and discuss modern art. 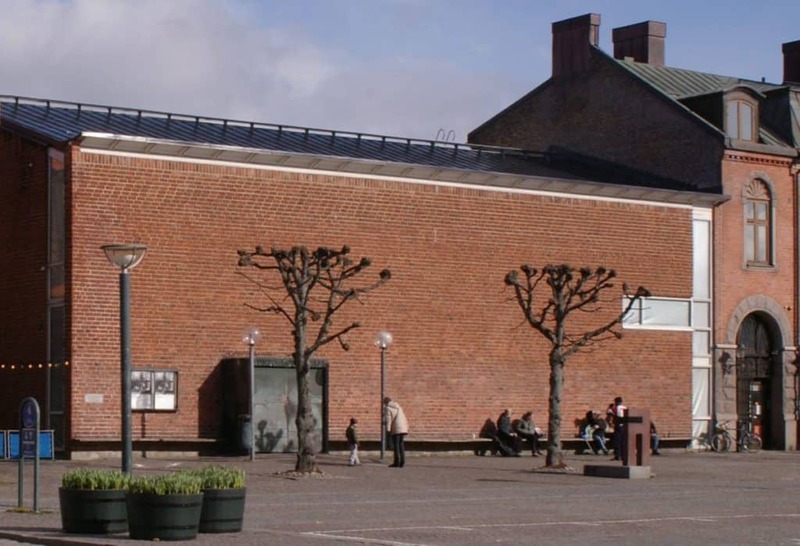 The building dating to 1957 warrants a mention too as it was designed by the 20th-century Modernist Klas Anshelm and has big glass panels in its roof filling the gallery with light. Most of the shows are for Scandinavian art, but there are a couple of international shows a year, and there’s a free catalogue printed for all exhibitions. The gallery also features a research room and studio. Admission to all lectures and exhibitions is totally free, so if you’re at a loose end there’s no reason not to get some inspiration here. As a young university city, Lund is a cyclist’s dream, and you’ll be one of many people getting around the streets on two wheels. The wealth of greenery and low volume of road traffic (most people go by bike) makes things even safe and easier. 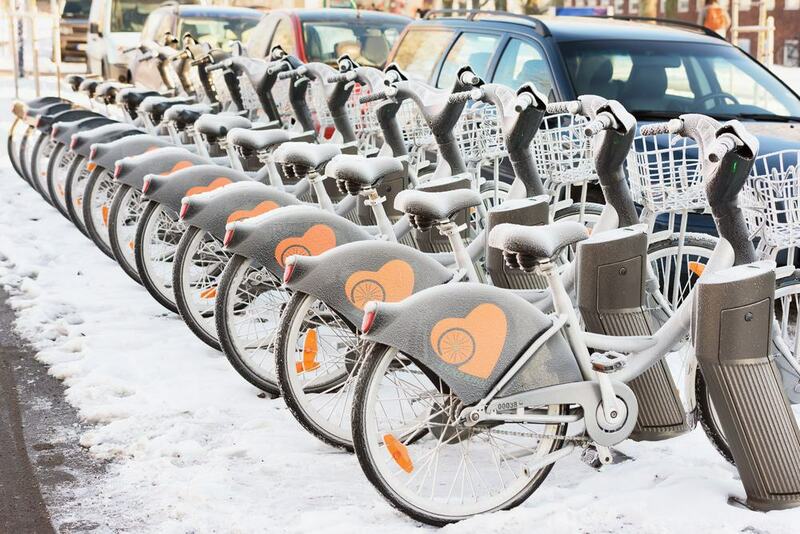 Tourists can use the Lundahof bike sharing system, which has 250 bikes at 17 stations around the city. Regardless of the amount of trips you make during the day, the first half an hour is always free thanks to the “30 Minute Rule” to ensure as many bikes are available at a given time. So if you know where you’re going you can zoom around the city without paying a penny. You can drive or catch a regular bus service out to this sprawling natural space 10 minutes or so east of the city. Here in the Dalby Söderskog National Park are ten different reserves made up of deep forest, moorland, a disused quarry and ponds. Some of the woodland is old growth and there’s a choice of easy trails to negotiate, three of which are lit. Lund City Council also operates a small visitor centre/museum at the park informing you about the human history, geology and natural life in this habitat.